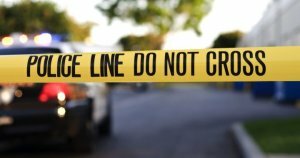 Woman Dies After Being Struck By SUV At Notorious St. Lucie County Intersection | Schuler, Halvorson, Weisser, Zoeller & Overbeck P.A. A woman died when she was hit by a SUV in Fort Pierce just two blocks from where a 9-year-old boy was struck and killed earlier this year, police said. The 61-year old victim of Manhattan was crossing the street at West 95th Street and West End Avenue, when she was struck by a black 2004 Ford Expedition driven by an unidentified 50-year-old man. The victim was rushed to St. Lucie County hospital where she later died of serious head and other injuries, police said. The driver was heading east on West 95th and was making a left turn to head north on West End Avenue when he struck the victim as she was crossing, police said. The SUV dragged her nearly a half block before stopping and backing up off of her, a bystander said. The driver remained at the scene, and was being questioned by police. Prosecutors from FHP office were determining whether he would be charged, sources said. The accident happened just two blocks from where a 9-year-old was killed when he was struck by a yellow cab driver.